In a recent post, I asked whether we might be accidentally killing employee engagement by obsessing over it too much. And, yes – we certainly can. This is because, like happiness, engagement is a complex emotional state that only emerges when everything else is right, so trying to force it directly just doesn’t work. You’d have more luck drawing big lipstick smiles on your employees’ faces every morning! It’s obvious that overzealousness generally leads to disaster, but we still want to engineer a pleasant and meaningful working environment. So, where’s the middle ground? 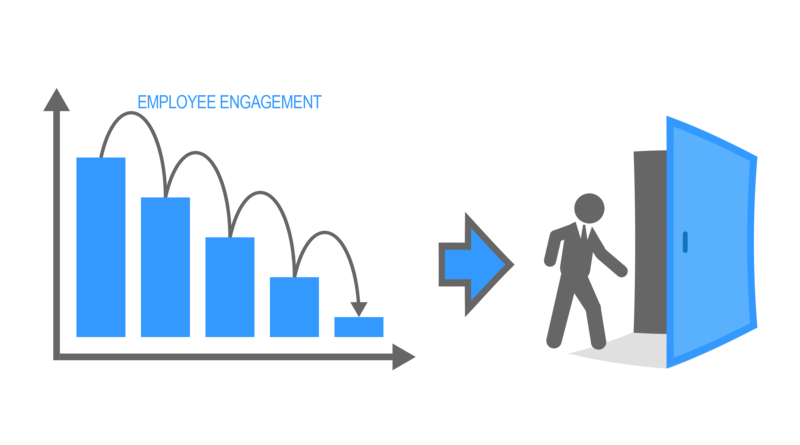 For example, declining staff-wide engagement ratings can warn us that subtle problems are emerging, particularly regarding the company culture and working conditions. There might be a new manager with a bad attitude, new and inefficient processes might be causing frustration, or the volume of work required has crept past some critical threshold. At an individual level, a worker whose engagement level starts to fall will eventually leave unless you discover and troubleshoot the problem before it’s too late. Often, the descent begins months (or years) in advance, as it generally takes a long time to decide ‘enough is enough’. Why is measuring engagement so complicated? Plus, your employees know that you want them to ‘be engaged’ – if you just ask them, their answers will be biased toward assuring you that they definitely are very engaged. When that happens, in effect you’re measuring how secure they feel in their job, or even how attractive the HR manager is, for that matter. ‘Desire to please’ can be a big confounding factor. 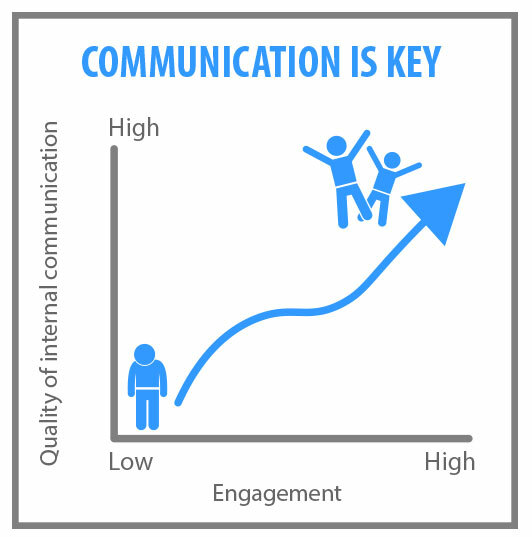 And, as I mentioned in my earlier post, the fact that there’s definitely something amiss when it comes to measuring engagement is shown by the disconnect between engagement and loyalty; ie. while engagement scores are rising overall, retention remains unchanged. When engagement survey scores are failing to predict reality, you’re asking the wrong questions. Workers might be falling victim to unconscious bias, or they might be consciously gaming the system. Either way, little good can come from making decisions based on incorrect assumptions. Another danger is that you become so overly reliant on surveys, analytics and other metrics to inform your decisions that common sense goes out the window. What’s the current best practice for measuring engagement? To measure engagement effectively, you need to ask questions that probe whether the expected effects of solid engagement are happening or not. For example, you might ask how much work is occurring outside of normal working hours and outside the office, which is a good way of measuring discretionary effort. Gallup recently produced a study titled “State of the American Workplace” in which it defines twelve “actionable workplace elements with proven links to performance outcomes.” Essentially, what Gallup thinks is best to ask in order to determine engagement. As you can see, the questions focus on the employee’s comfort in their role, the strength and breadth of their professional relationships, and whether they are being both supported in their development and recognised for their efforts. None of the Q12 elements mention anything about ‘engagement’, happiness, or anything particularly emotional or subjective. That’s how you avoid bias, by basing your measures in objective reality. If you do perform testing in this way, remember – it’s still a relative measure; you can tell whether engagement has increased or decreased, but there’s no official scale. Is the company vision intact? Are its direction, values and purpose fully articulated? There are many aspects to look at, from both a macro and micro perspective, and I’ll go into more detail about these in a future post. For now, my message is that yes, it is possible to measure engagement – by measuring what engagement is supposed to produce; and, yes, if done correctly, it can produce an extremely useful datapoint that you can use as a basis for evaluating your success in designing the ultimate workplace. The key is to keep it short and infrequent – if you’re using something like Gallup’s Q12, it needn’t take more than a couple of minutes for your employees to complete. What are your thoughts on how best to measure engagement? Do you use something like the Q12, or questions that are even more incisive? I’d love to hear your suggestions in the comments! 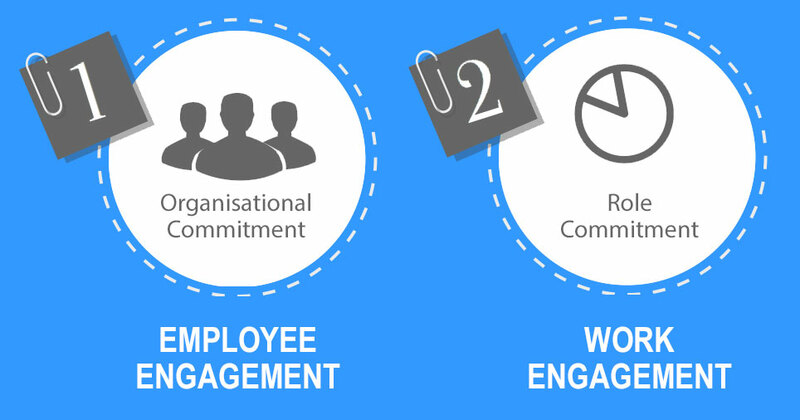 https://www.cognology.com.au/wp-content/uploads/2015/10/Employee-engagement-sml.jpg 210 210 Jon Windust https://www.cognology.com.au/wp-content/uploads/2017/01/Cognology-logo-colour-300x101.png Jon Windust2015-10-06 03:35:362017-09-14 23:49:06Can you really measure employee engagement?